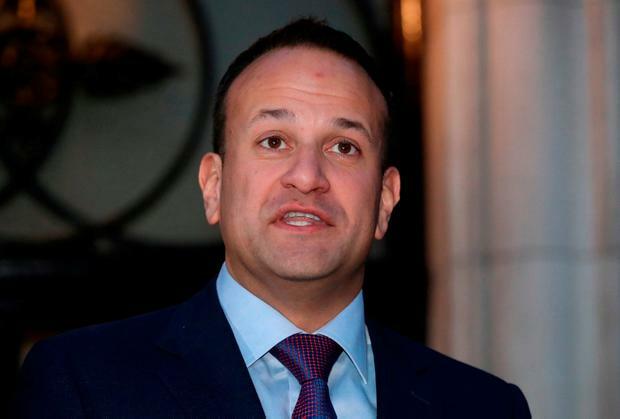 Attempts to legislate for the protection of journalistic sources will be complicated by three distinct problems, Taoiseach Leo Varadkar has said. Mr Varadkar has "dusted down" a report which suggested laws should be introduced to protect sources, but said any moves were still "under consideration". Speaking against the backdrop of an alleged data breach at Independent News and Media (INM), Mr Varadkar said he was open to legislating in the area but foresaw problems. "We have identified three complications and certainly would welcome the advice of deputies in other parties as to how we might overcome those complications," he said. The first issue is the fact that journalism is not a regulated profession and therefore difficult to define. "We know what a doctor is because to protect the title one is registered with the Medical Council. "We know what a nurse is because it is a protected title and one is registered with the Nursing and Midwifery Board. We know that to be the case for physiotherapists and teachers. A huge number of professions are regulated," Mr Varadkar told the Dáil. "One cannot just call oneself a teacher or an architect. These are regulated professions. One must register with a professional body and uphold a certain code of conduct, and there is a mechanism by which one could be struck off the register. Journalism is not in that space." He said this problem was even more evident now than in the past because of the "emergence of the citizen journalist". Secondly Mr Varadkar questioned whether it would be possible to limit the protection of sources to just journalists. "As politicians, often we are given confidential information by people. I am sure people in other walks of life are given confidential information by people. Would we apply it more widely?" he asked. The Taoiseach also questioned what exceptions would have to be created. "For example, there is legal privilege where lawyers have protections. Doctors, for example, are protected under doctor-patient confidentiality but in no cases are those protections absolute," he said. The Office of the Director of Corporate Enforcement has claimed that emails belonging to INM staff, including journalists, were taken off-site and interrogated by a third party.